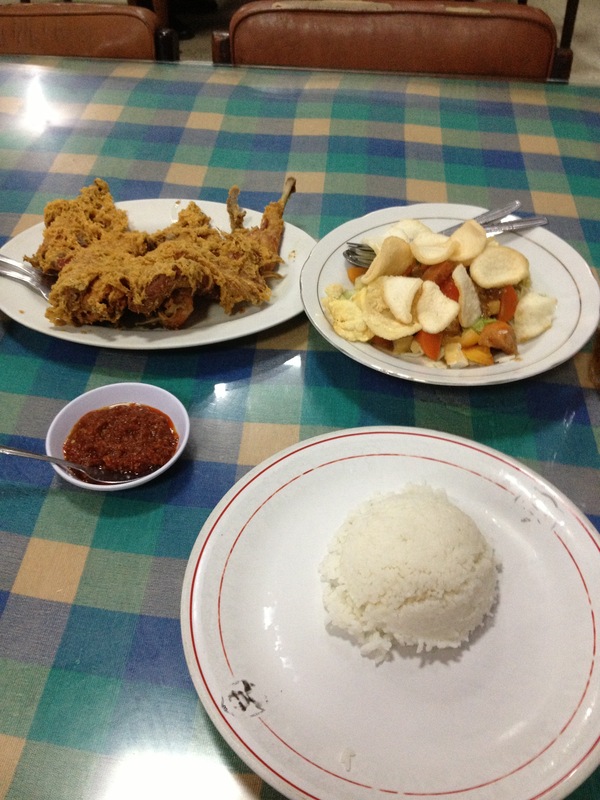 I had read and heard so much about the Fried Chicken in Jogjakarta, most notably the famous one started by Mrs. Suharti. The story, as it goes from Lingga, our tour guide, was that she started this Fried Chicken business from her home and opened a store. After that, her husband decided to divorce her and he wanted the recipe and the store. So, she said take it. So she went out on her own, started a new store with the recipe and went on to do booming business, opening 4-5 stores and franchises all over Indonesia, while her husband’s store just sits and earns meager money. We spent the morning at Prambanan Temple and then we went to the Kraton and a Batik Factory, so by 2pm we were starving. And it being my birthday, we needed chicken. 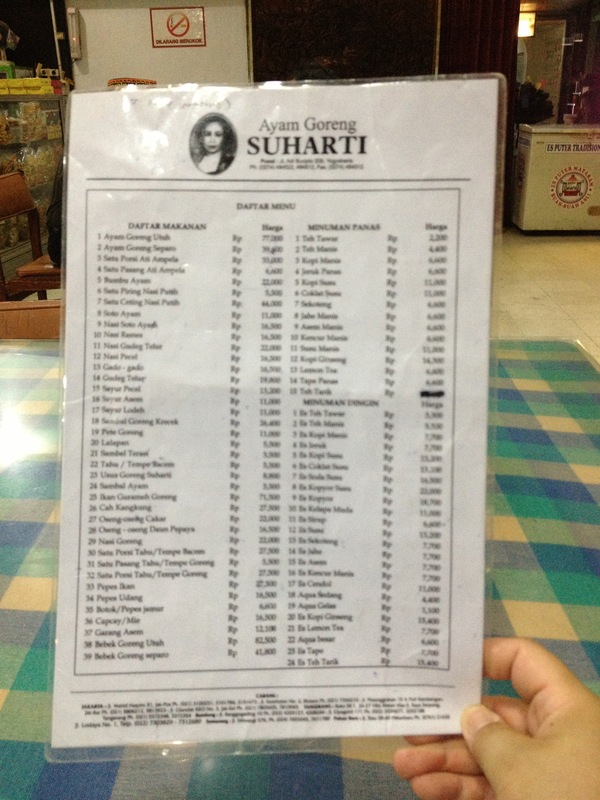 So my suggestion to Lingga and the tour guide was Ayam Goreng Suharti. I had heard so much about it and I needed to try. Such a big menu, we weren’t sure what to order, so we went with some suggestions. 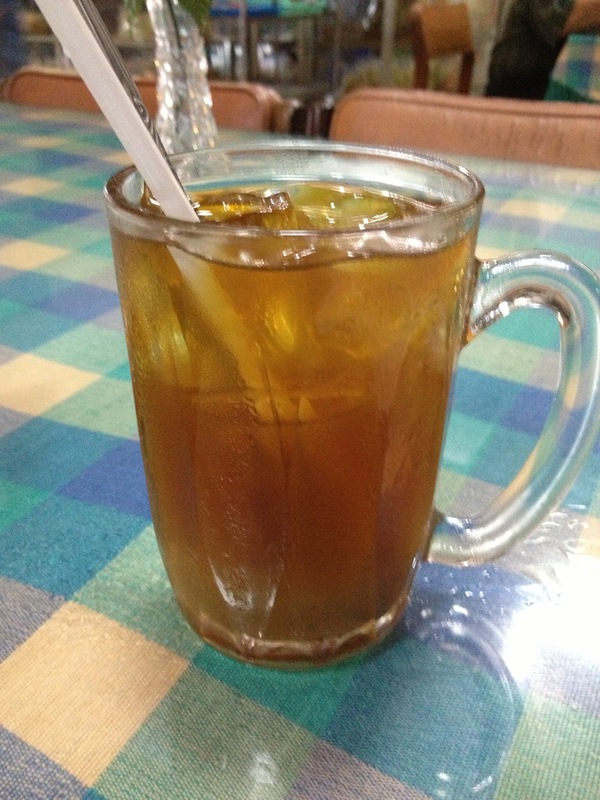 First, drinks. 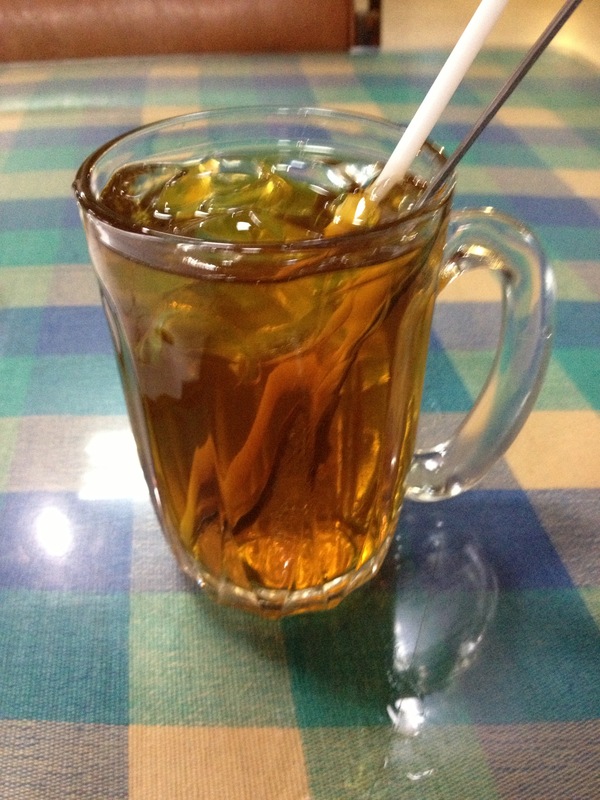 Teh Manis and a Teh Halia. Next, the Gado Gado Salad. 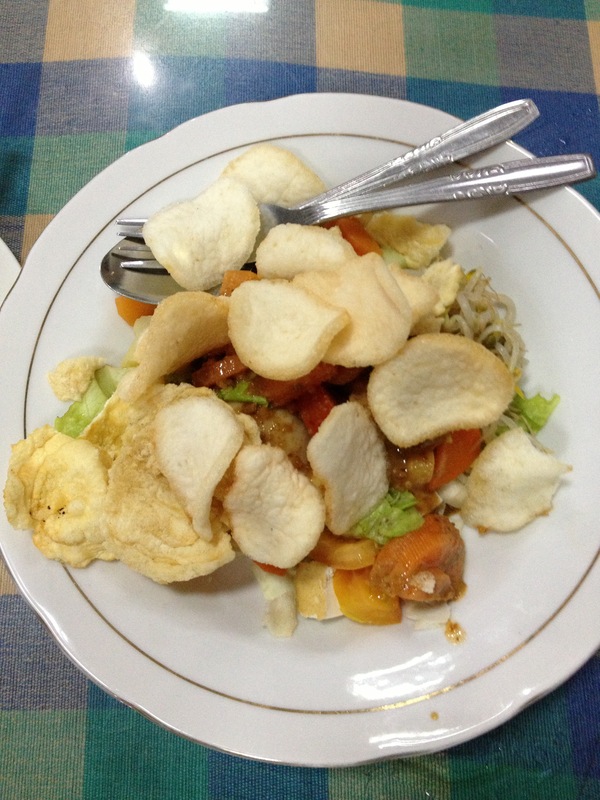 I needed some greens, and since we’re in Indonesia, we must try Gado Gado. 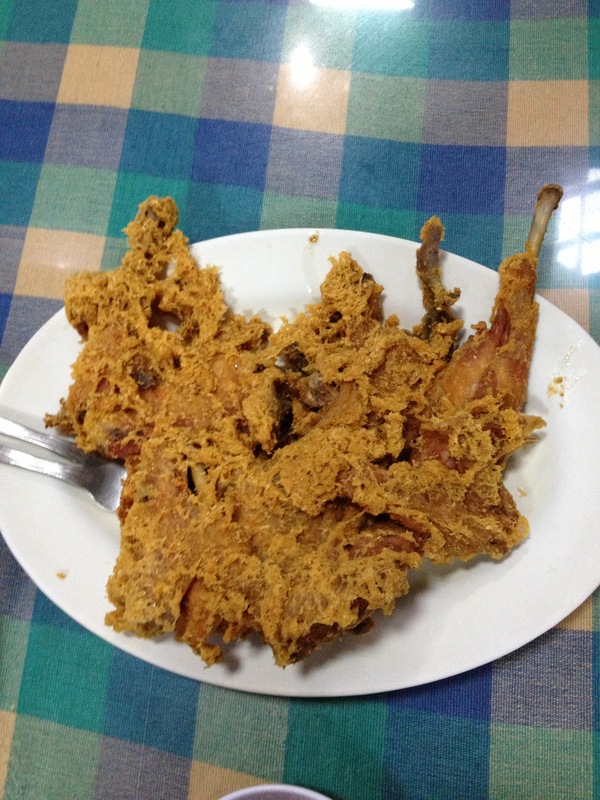 Here is the Ayam Goreng! The batter was quite nice, light, crispy, not too greasy feeling. 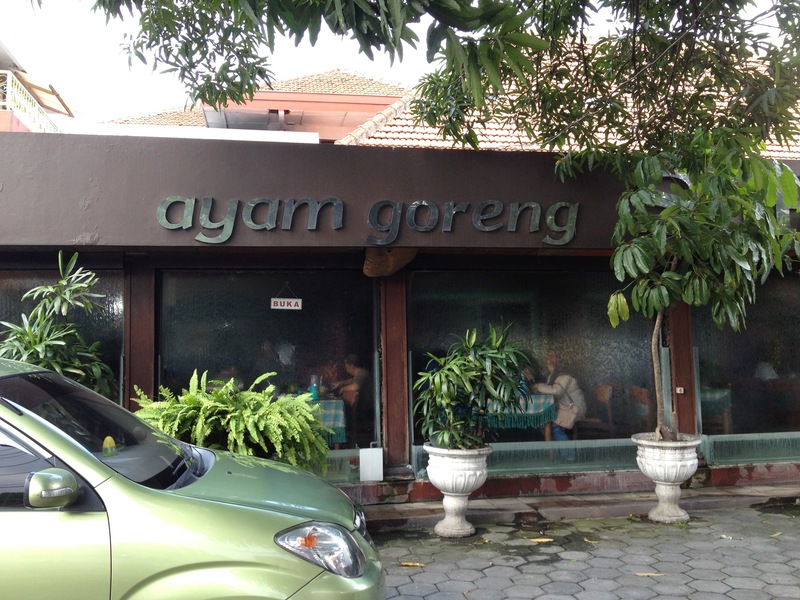 My only complaint is that the Ayam is not meaty enough, not a lot of meat there, but what there was, it was tasty. They said that it’s usually served with rice, so that’s what we did. 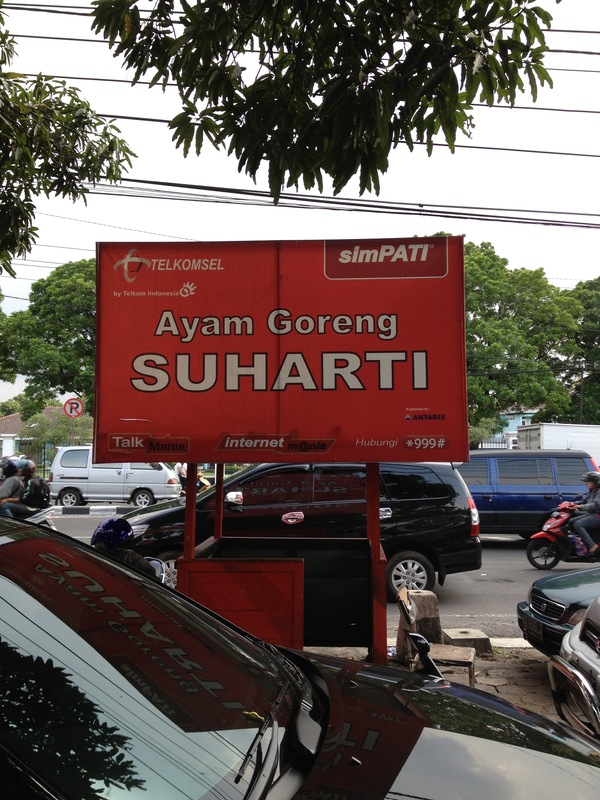 Posted in JogjakartaTagged IndonesiaBookmark the permalink.